Native, an on-demand marketplace that enables global brands to task locals to collect any type of data they need on the ground nearly anywhere in the world, from pricing to store checks, announced today closing a $2.5 million round to fuel its global growth. Currently Native operates in over 30 countries around the world with offices in New York, Washington DC, London, and Bogota, working with some of the world’s largest organizations. Led by Lavrock Ventures, alongside participation from Riverbend Capital, this funding round comes at an important time in the market research industry, just as leading fast moving consumer goods (FMCG) brands increasingly rely more on emerging market opportunities, and the traditional providers of research are facing constraints on how far they can go and how fast they can move. Native is not bound by the same constraints, delivering the on-demand economy experience to market research most typically seen in consumer rideshare and food delivery applications. Prior to announcing this round, Native brought on senior hires from the global rideshare platform Uber to manage its global operations, as well as talent from PepsiCo and market research leader IRi to drive its work with global brands and from Orbital Insight to help drive its worth with the public sector. Native was also recently listed as one of the leading technology companies to watch in 2019 by Built In New York. Traditional research companies rely on human-intensive consulting models that make gathering data cumbersome and expensive. By connecting organizations that have questions to locals who collect data that can answer them, Native is removing the middleman. With this model, market research, geospatial mapping, and groundtruthing for any industry becomes more direct, more feasible, and more affordable. 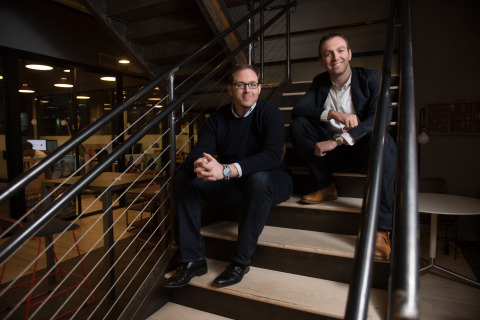 Lavrock Ventures is an early-stage venture firm that invests in enterprise software and data businesses, headquartered in the greater Washington DC area. Lavrock partners with passionate entrepreneurs working to solve some of the most critical problems facing major institutions in the public and private sectors. For more information, visit www.lavrockvc.com.